We looked at the top 10 Electric Deep Fryers and dug through the reviews from 116 of the most popular review sites including Best Reviews Guide, Wiki EZ Vid, The Deep Fryer Expert, At Least We Fried, Kitchen Gear Zone, Top Ten Reviews and more. The result is a ranking of the best Electric Deep Fryers. Our experts reviewed the top 10 Electric Deep Fryers and also dug through the reviews from 116 of the most popular review sites including Best Reviews Guide, Wiki EZ Vid, The Deep Fryer Expert, At Least We Fried, Kitchen Gear Zone, Top Ten Reviews and more. The result is a ranking of the best of the best Electric Deep Fryers. If you have a large family or regularly cook for large groups, the T-Fal Deep Fryer's 3.5-liter capacity will make it a winner. It has easily detachable parts that can go in the dishwasher for simple cleanup. But perhaps the best feature of the T-Fal Deep Fryer is the separate oil container that allows you to save oil for future use. DWYM Kitchen Experts plus BestReviews, Top Ten Reviews, Foodal, Home Kitchen Land, Your Best Digs, Deep Fryer Review and 4 more. Along with user reviews from Amazon and Walmart.
" Features like the oil drain filter, the sealed ccoking lid and the easily detachable and washable parts make the ultimate EZ clean fryer a model well worthy of its price." "The temperature wasn’t always accurate, registering as much as 5 degrees lower than the temperature we set." You'll have plenty of options with the Cuisinart Deep Fryer, which comes in 1.1-liter, 2-quart, 3.4-quart, 4-quart and 5-liter versions. The largest size is ideal for cooking large food items like turkeys, while the smaller sizes are easy to store when not in use. This model provides consistent heat, even when you add items directly from the freezer. DWYM Kitchen Experts plus BestReviews, New York Times Wirecutter, Wiki EZ Vid, Best Reviews Guide, Perfect Deep Fry, At Least We Fried and 1 more. Along with user reviews from Amazon.
" Sustains heat better than most of the fryers on the market." "Doesn't have an auto drainage system." For smaller households, the Presto CoolDaddy Cool-touch Deep Fryer is the perfect choice. It holds only 1.9 liters of oil, making it easy to store in a cabinet when not in use. It also has a built-in indicator light that lets you know when the oil is hot and ready for food to be added. A viewing window lets you keep an eye on your food without lifting the lid. DWYM Kitchen Experts plus BestReviews, ratingle, Home Kitchen Land, At Least We Fried, Top Fryer, Best Deep Fryer Reviews and 2 more. Along with user reviews from Amazon, Walmart and Home Depot.
" Comes with multiple features for easy handling, including an adjustable thermostat, an indicator light and a locking cover designed to prevent spills and reduce odors." "The Presto Fryer is not dishwasher-safe. It must be washed by hand which can make it somewhat tedious to use." A non-stick finish makes the Presto GranPappy Electric Deep Fryer easy to clean, although you'll need to hand wash all of the removable parts. The fryer is smaller in size, making it easy to store when not in use. You'll also love the low price on this model. DWYM Kitchen Experts plus BestReviews, ratingle, The Deep Fryer Expert, Top Fryer, Deep Fryer Review, Crispy Sisters and 3 more. Along with user reviews from Amazon, Walmart and Home Depot.
" Inexpensive deep fryer with no bells and whistles." "The GranPappy doesn’t come with a basket and the lid is plastic so it can’t be used while frying or it will melt and if not careful there may be some oil spatter." We identified the majority of the electric deep fryers available to purchase. 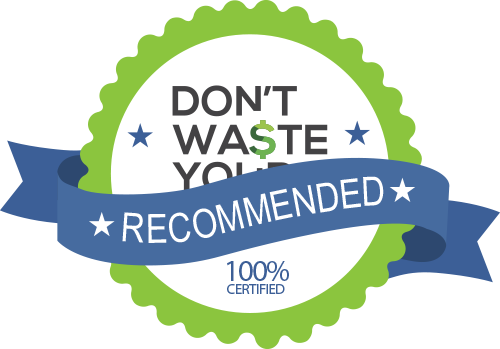 Reviews from our DWYM category experts and analysis of some of the most respected sources including: Best Reviews Guide, Wiki EZ Vid, The Deep Fryer Expert, At Least We Fried, Kitchen Gear Zone. We also incorporate user reviews from the leading retailers including Amazon, Best Buy, Walmart, Home Depot, Target. Features like the oil drain filter, the sealed ccoking lid and the easily detachable and washable parts make the ultimate EZ clean fryer a model well worthy of its price. This is the only deep fryer we tested that filters and stores oil in a built-in container. The Basket and the Lid of this model are dishwasher safe. The 30-inch power cord has a magnetic attachment for safety, so if it should by chance tip over, it shuts the power off. The EZ Clean oil-filtration system saves the oil, and therefore your money, too. The system filters and stores the oil for future use.There’s no need to add more oil every time you use this T-Fal deep fryer. The T-Fal – FR8000’s patented automatic oil filtration system and storage system makes clean-up easy and convenient. This machine also has a good oil capacity. It can hold up to 3.5 liters of oil for frying more food than many of the competing models. To start with, it has a unique oil filtration system which automatically drains and filters oil. Auto oil filtration system. It automatically filters oil to reduce wastage and also keeps the fryer free from grime. In addition, the tall design limits spatters and thus there will little or no mess when using the fryer. It's basket may be difficult to clean due to batter potentially sticking to the mesh wiring. The temperature wasn’t always accurate, registering as much as 5 degrees lower than the temperature we set. The deep fryer is large and therefore, it requires a bigger space to place it in your kitchen. 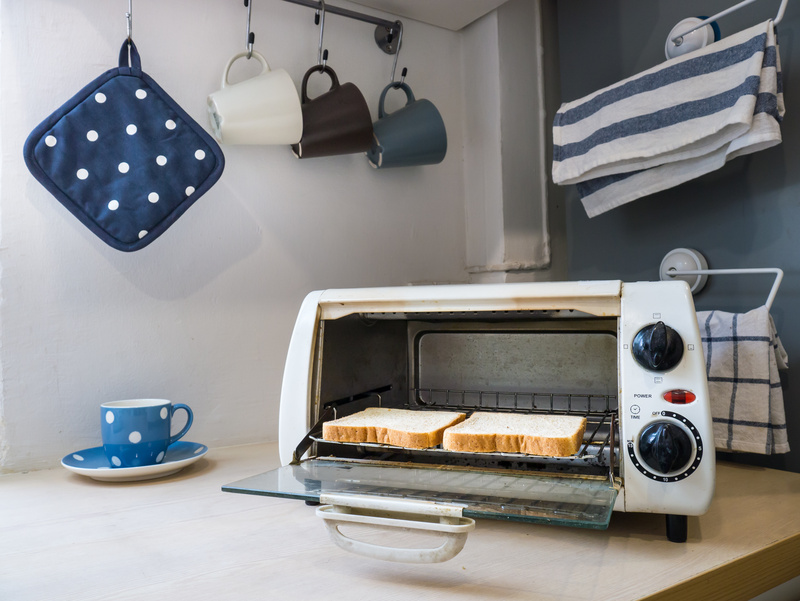 Choose a good spot to put it so that it doesn’t occupy much of your kitchen. The only major complaint is that the fryer pot is more shallow than some would like. The outside of the T-fal FR8000 fryer heats up to 115 degrees Fahrenheit, this can be dangerous and uncomfortable to work around. Inexpensive deep fryer with no bells and whistles. It is easy to use and features a slotted spoon that is ideal for draining the food after it has been fried. It has the magnetic safety connection and the plastic lid for easy storage. It features a heavy-duty cast aluminum, non-stick finish and so it cleans up quickly and easily and also does not let the food stick to it. The Fryer is conveniently sized to prepare up to six servings of food at a go. It is also quite economical as it uses one cup of oil per serving. With basket-free deep frying you also don’t get the same level of mess that you would get with most home deep fryers. The simple non-stick stick design makes this model easy to clean and put away. Due to its light weight and compact size, the deep fryer is convenient to use and doesn’t take a lot of your kitchen space. Presto Electric Deep Fryer comes with a slotted scoop which will help you to remove the meat you are frying with a lot of ease and hence this will save on your time you are using to fry the meat. Only one temperature, which is too hot for some foods. The GranPappy doesn’t come with a basket and the lid is plastic so it can’t be used while frying or it will melt and if not careful there may be some oil spatter. Although it is stated that a lid can be used on the device to prevent splattering, the lid that comes with it is one that is for storage only. It is not designed to be used while the unit is being used and very well may melt. There is no temperature indication. The fryer lacks an adjustable thermostat making it impossible for users to control the temperature while cooking. Therefore, users can only cook at the preset temperature regardless of the kind of food being prepared. The only thing that some consumers might not like is that it doesn’t have variable temperature control. This deep fryer lacks an adjustable thermostat which is used to control temperature while cooking. Therefore, one is forced to use the same temperature for different kinds of food as this deep fryer has only one preset temperature setting that cannot be adjusted. If you’ve tried to make fried chicken, shrimp or even French fries at home, you’ve likely found pan frying doesn’t quite do the trick. Frying pans are shallow, not allowing you to completely immerse food in oil. You’ll also deal with grease spatter all over your stove unless you’re careful, which means extra cleanup time after dinner. An electric deep fryer is a great way to fry the foods you love in the comfort of your home. Simply fill it up with oil, wait for it to heat and insert your items. In a matter of minutes, you’ll have a tasty snack or a great side item for your meal. Since many electric deep fryers have lids and other safety mechanisms, you’ll also have protection from dangerous, not to mention messy, spatters. Before you buy, you’ll want to decide the capacity you’ll need. If you plan to deep fry the occasional turkey or hold parties where you’ll fry up large quantities of food, you’ll need a larger capacity fryer. But keep in mind these come at a price. The bigger size means you’ll need to find somewhere in your kitchen to store your fryer. But the smaller-sized fryers limit the food you’ll be able to cook. Clean-up is also an important factor. Some fryers feature removable parts that you can simply slip into the dishwasher, while many others require each part to be hand washed after use. You’ll also have oil to discard after each use, so make sure you have a plan for taking care of that. Some fryers even let you save the oil to use next time. Of course, in the end, it’s all about cooking. Some fryers have temperature controls, which makes it easier to cook a wide variety of food. You’ll also find that an indicator light can come in handy. These lights let you know when your oil is hot and ready for you to begin inserting food. Before the world could fry food, someone had to invent the frying pan. That happened in ancient Mesopotamia, which eventually allowed Japan to discover tempura-battered foods in the 16th century. By the late 1600s, villagers in Belgium were frying up small fish they caught in the river. When supplies ran low, they needed something to act as a substitute. So they came up with the idea to fry potatoes, which brought the birth of the French fry. The delicious food item soon took off. During World War I, American soldiers stationed in Belgium discovered the food and nicknamed it French fries, after the language the Belgian soldiers spoke. One very important thing to look at when shopping for a deep fryer is capacity. If you plan to hold big parties or you have a big family, you may want to consider a deep fryer with a larger capacity. The T-Fal Deep Fryer 3.5 liters of oil, while the Cuisinart Deep Fryer has models with capacities of 1.1 liter, 2 quarts, 3.4 quarts, 4 quarts and 5 liters. The 5-liter version is perfect for deep frying large food items like turkeys. For smaller households or just cooking up some side dishes, though, consider the Presto CoolDaddy Cool-touch Deep Fryer, which holds only 1.9 liters. You’ll have all the capacity you need without taking up excessive counter space. Temperature accuracy is important when you’re inserting food and trusting a device to cook it as needed. The Cuisinart Deep Fryer sustains heat better than other deep fryers, even remaining hot as you add food directly from the freezer. The Presto GranPappy Electric Deep Fryer, on the other hand, has only one temperature, which doesn’t work for all foods. Cooking with oil can be messy, as you’ve likely found if you’ve fried foods on the stove. After you’ve finished cooking, you’ll want cleanup to be as quick and painless as possible. The T-Fal Deep Fryer has easily detachable, dishwasher-safe parts. Although it isn’t dishwasher safe, the Presto GranPappy Electric Deep Fryer has a nonstick finish to make it easy to scrub clean. You can’t start frying without filling your fryer with oil, and all of that has to go somewhere once you’re finished. The T-Fal Deep Fryer stores all that oil in a container that you can then save for future use. That means every time you’re ready to start cooking, you’ll have the oil from your previous session, saving you the trouble of disposing of oil afterward. Best of all, the oil is automatically strained into a separate tank, so you won’t get larger food particles in your reusable oil. The Cuisinart Deep Fryer also collects oil in a container, which is removable and has a pouring spout. One concern with household deep frying is odor. You likely don’t want your home to smell like a hamburger joint for the next few days. The Presto CoolDaddy Cool-touch Deep Fryer is built to cut down on those scents to keep your home smelling great. The Presto CoolDaddy Cool-touch Deep Fryer builds in an indicator light that lets you know when the oil is at the perfect temperature for adding food. Safety is an important feature in a deep fryer. This starts with the lid. The T-Fal Deep Fryer has a sealed cooking lid that will lock your contents inside to avoid grease spatter. It also has a magnetic attachment on the power cord that will ensure that the power shuts off immediately if the fryer tips over. One benefit of the Presto CoolDaddy Cool-touch Deep Fryer is that it has a viewing window that lets you keep an eye on your food without lifting the lid. Deep fryers can vary dramatically in size, so measure your available space before you buy. The high capacity of the T-Fal Deep Fryer and the larger Cuisinart Deep Fryer will make them tough to tuck into a corner or squeeze into a cabinet. The Presto CoolDaddy Cool-touch Deep Fryer and Presto GranPappy Electric Deep Fryer are both smaller in size, so you won’t have as much difficulty storing them. Deep fryers are relatively affordable, with even the highest-priced model retailing for less than $100. The T-Fal Deep Fryer is the most expensive, followed by the Cuisinart Deep Fryer. You’ll find that the smaller fryers, the Presto CoolDaddy Cool-touch Deep Fryer and Presto GranPappy Electric Deep Fryer, are the cheapest, retailing for less than $50. For the Electric Deep Fryer category, we analyzed 116 of the most popular reviews including reviews from Best Reviews Guide, Wiki EZ Vid, The Deep Fryer Expert, At Least We Fried, Kitchen Gear Zone, Top Ten Reviews and more. The result is a ranking of the best Electric Deep Fryers.